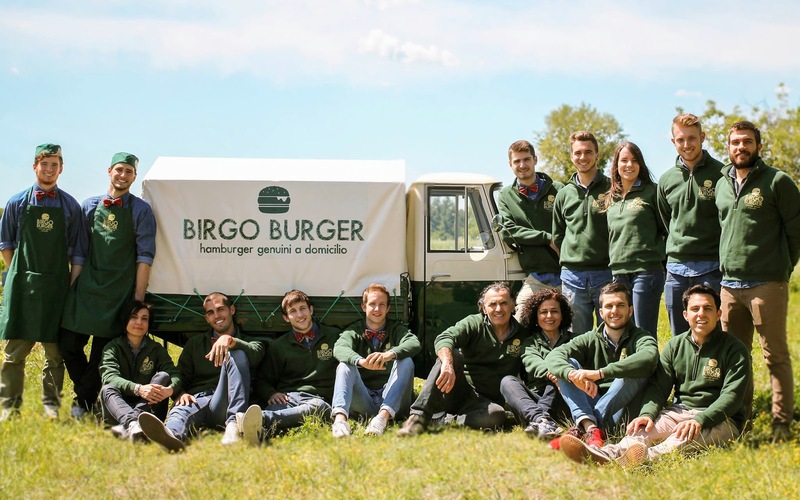 Birgoburger may seem to be a tongue-twister, an allitteration: while you immediately understand it has to do with a burger, you fail to come to grips with that “Birgo”. Actually, birgo was a butcher, to be fair, a living legend in San Vito, a lovely village close to the “North Rimini” A14 motorway exit. One would say a temple needs its priest – fair enough, in this case Birgo was the priest. Let’s be honest from the very beginning: I don’t want this to be one of my well-known Pindaric flights. 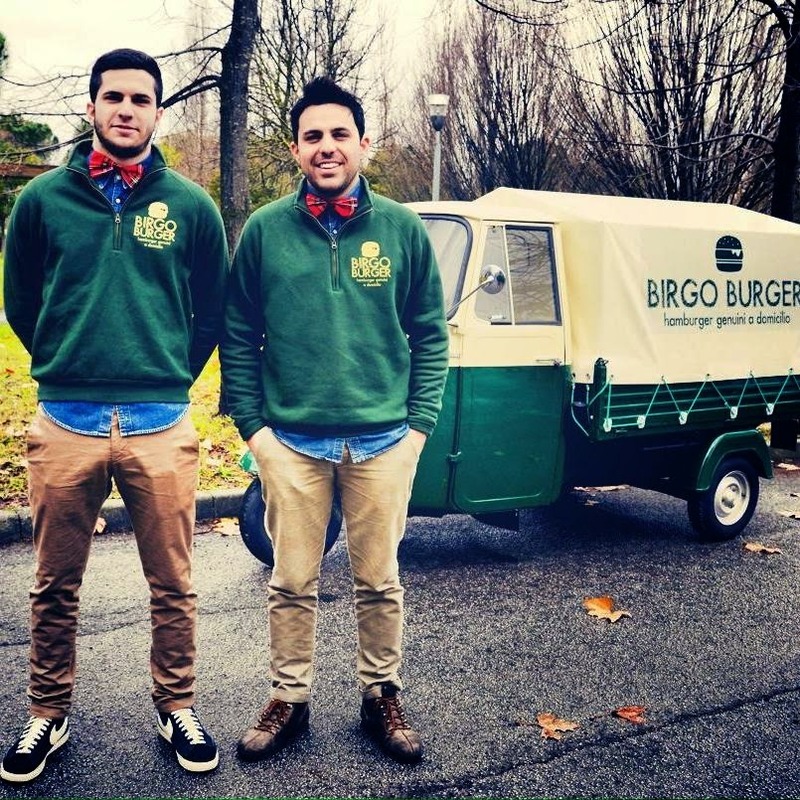 Birgo’s family butcher shop was passed on to his son Paolo and wife Patrizia, and is currently managed by his two grandsons, Federico e Filippo. I’ve known Federico for long, and whenever I think of him, marvellous and visionary ideas cross my mind. A young Midas in his business, he is capable of turning everything he touches into gold. With a past as chief partier in the Romagna, many people envy his CV, an excellent one, indeed, despite his young age. He is certainly full-blooded, a chap who can feel the ground vibrate under his feet, as we say, even though in my imagination he reminds me of “Novecento” by Alessandro Baricco. The pianist on the ocean who dies old on his ship because the ship is his home from which he can envision worlds and connect ideas. You could think he was mad. It wasn’t so easy, though. When one is capable of describing to you the smell that permeates Bertham Street, in the summer, as soon as it has stopped raining, you can’t think he is a madman simply because he has never been in Bertham Street. He breathed that air in somebody’s eyes, in somebody else’s words. It could well be that he had never seen the world. Yet, the world had been passing through that place, his ship, on which he could spy on it. Federico is crazy, no doubt about that. He’s a nocturnal animal and burns by day, the sight of the country before his eyes, an everlasting passion for the joys of life. One of those Kerouccheans who burn and shine in the sky. Birgoburger’s character could only be born out of his imagination. Let’s now move on to the reasons why I fell in love with this idea. 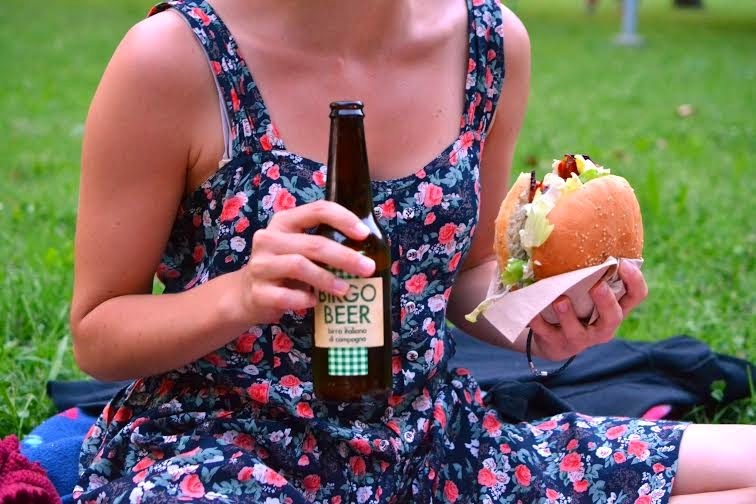 It’s all about a home delivery of hamburgers, made of genuine ingredients, all from the area we live in – I’m not joking. The bread of the hamburger comes from the local baker’s shop and it’s not remotely comparable to all other types of bread on the market. But what really makes the difference is meat, the meat of animal bred in the countryside in the open air. A thought that can take you over and makes you want it immediately at home, as affectionate a gesture as when your mum gave you a little kiss to wish you a good night when you were a child. There are four types of hamburger and simple ingredients, that Bacon Burger organic barbecue sauce that literally drives one crazy – I confess I’d love to spread it on my face ! 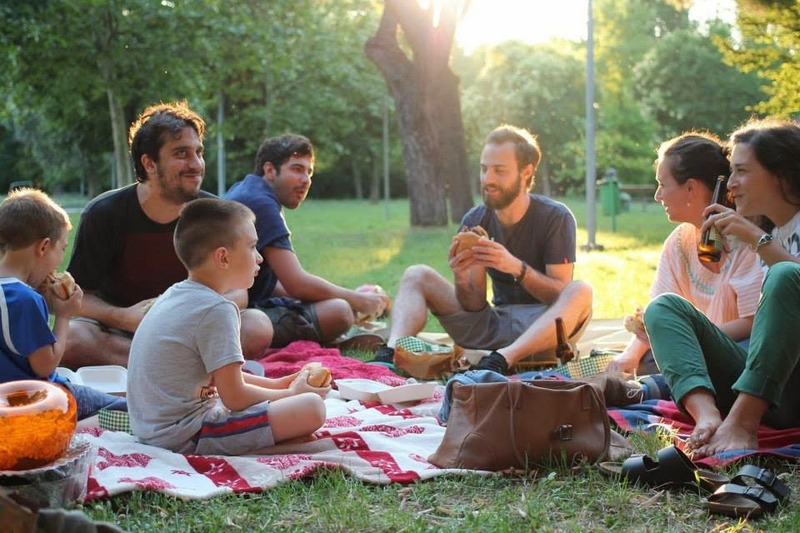 I’ve enjoyed this idea even before they launched their new project about picnic lunches – it was high time we had picnic lunches and connected people. Federico owned a park opposite the butcher shop which is now abandoned. He’s recently taken the responsibility for looking after this park, and now he sells beef clod and beer as well. His heart told him to stay where he was born and grown up, redeveloping the area, bringing new people to that godforsaken place. He did it. 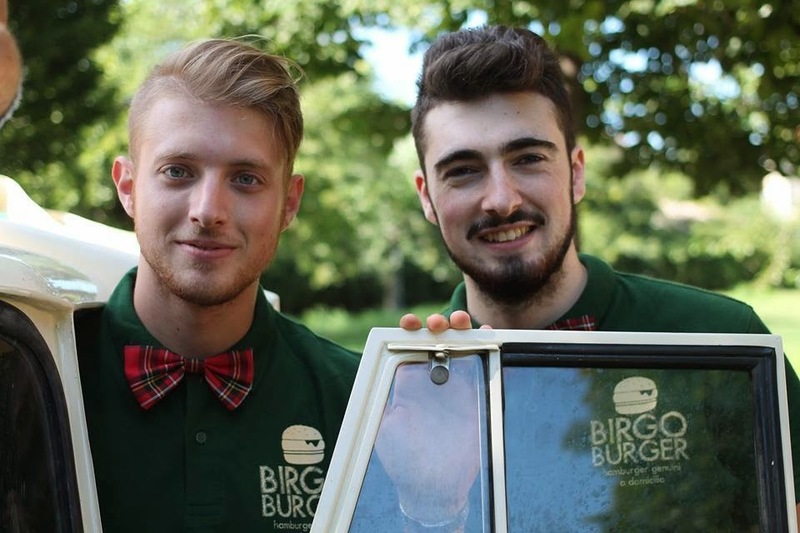 Enough with poetry, let’s focus on what else Birgoburger is about. His workers (25 at present, counting those working in the kitchen and carries) are really handsome guys: I have no idea where he can find such individuals. There must be a casting or maybe my hormones are a bit unbalanced. Yet, they’re really good-looking and beautiful inside. 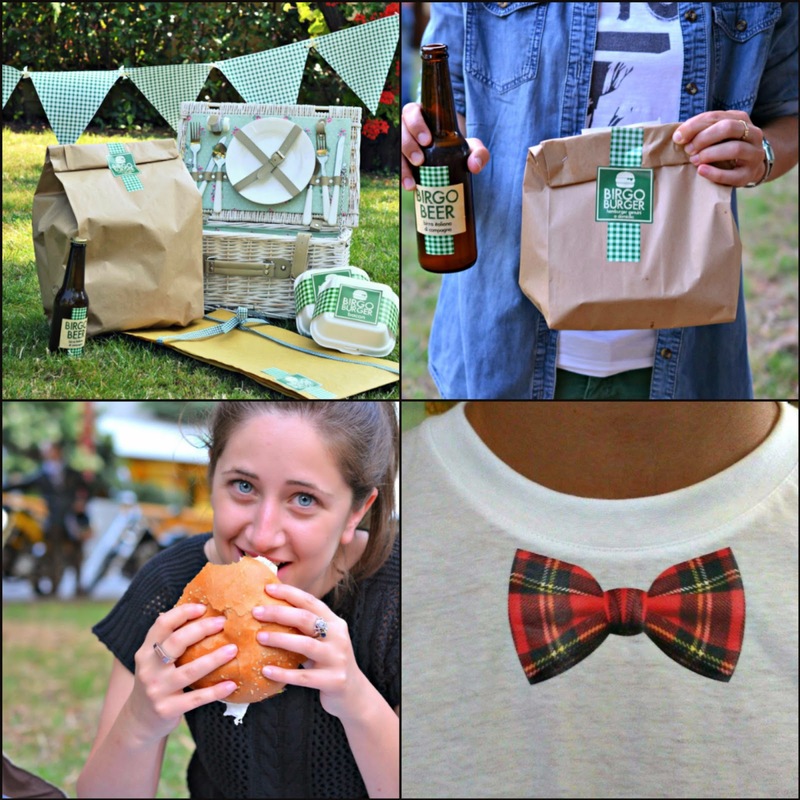 When they deliver your meal they always smile, dressed in their cool uniforms and red bow ties, while their hamburgers are made a brand of. They’re genuine chaps, you can feel they’re happy to be part of this project as if they were inspired to religiously venerate their woking place. I’d like to see many more projects like this one, made of people, heart, passion, not just money, projects that should be proud of themselves and shouldn’t envy Jamie Oliver (always present as a background idea and lifestyle, à mon avis), ideas capable of introducing a healthy product and a nice idea in people’s lives. Obviously, as it happens with victorious ideas, many people in the Rimini area are trying to copy it – let it go, folks, you’re ludicrous.